Guttering comes in many styles. Ask us which one is right for your situation. One of the considerations when building or renovating your home is the type of gutter that you should use. There are different types of gutter systems available in the market. To help you choose, here are the different types of gutters explained. Find out more about the Easy Fall Guttering Solution. Stop common gutter problems such as incorrect slope, gutter overflow, clogging and more! Call 1800 897 444 to buy guttering systems, leaf guard, and other roof gutter products! The Quad Gutter is a classic guttering design that is popularly used on modern new homes as well as replacements for old existing gutters. It is a type of slotted gutter that is compatible with both steel and tile roofs. It is designed with overflow holes. The Half-Round Gutter features a semi circular design. This allows the gutter to have greater water capacity. The design minimises water and dirt buildup, reducing the need for gutter cleaning. The Mini-Line Gutter has more rainwater capacity than the traditional Quad Gutter, making it an ideal gutter to install in areas prone to heavy rainfalls. 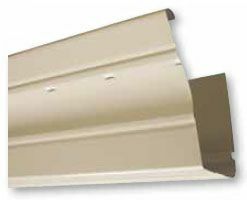 It is a smaller version of the Nu-Line Gutter with a more stylish front profile. It has a similar gutter and fascia combination that is installed with external brackets. The Old-Style-Quad Gutter is similar to the Quad Gutter, but designed with a lower front. Unlike the Quad Gutter, it has no holes to prevent overflow. The Round-Line Gutter is another European style gutter that features a cylindrical design. Like the half-round gutter, the round-line gutter minimises dirt buildup, lessening the need for cleaning. Its appearance is characterised by a flat back with no external brackets. The Square-Line Gutter is installed using concealed brackets and folded around the corners due to its slotted design. With a square front, it is designed to have overflow holes in the front. This makes it the most common type of gutter used for carports and garages.